Smooth and versatile Espresso Roast is the very heart and soul of Starbucks. Its rich flavour, lingering aroma and caramelly sweetness make it the perfect foundation for lattes, cappuccinos and all our espresso-based beverages. But you can also enjoy it all by itself – indeed, that might be the best way to discover its nuances. A single, 1-ounce shot of espresso is called a solo. 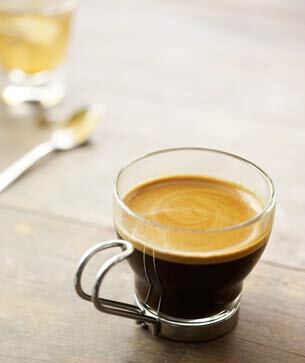 A double (or 2-ounce) shot is called a doppio.